Tell me your fashion problems - and link up | Is This Mutton? Ladies, I need your help. 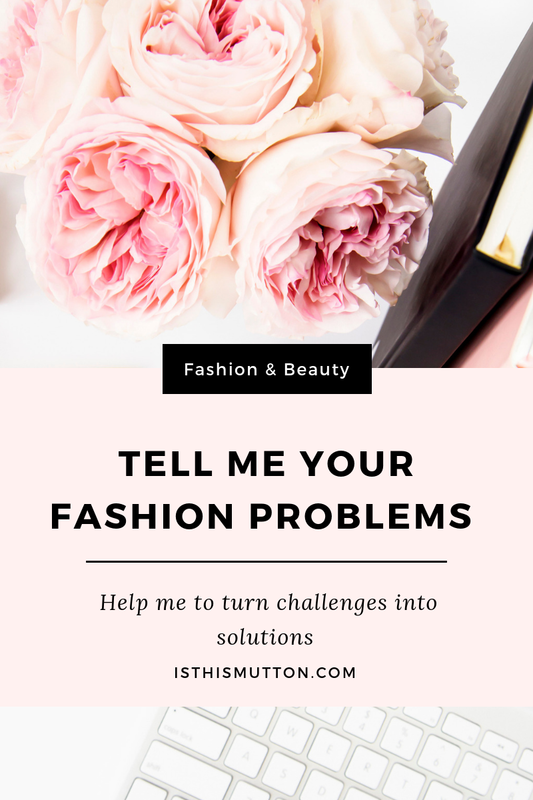 I would like to understand your particular frustrations and challenges with clothes and beauty. 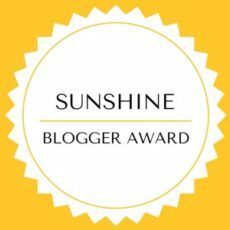 Women aged 50 and over rarely get asked for their views, and I want to make sure that this blog becomes valuable in helping to solve your dilemmas. 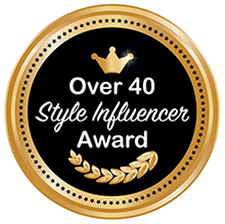 From what I have seen on Pinterest and Bloglovin, the most popular posts for me and others are suggestions of what to wear for certain occasions, and how to style one piece several ways. Does that chime with you? Please let me have your feedback in a short survey here. Don't worry, it's not a ruse to gather email addresses. I'll report back in a couple of weeks on the findings, and gear my blog content around them. Meanwhile - a few of this week's outfits. The lilac coat was a big hit on Instagram. It's only the second time I've worn it. The weather was cold but dry, ideal for a coat like this. I've always described it as lilac but others thought it was lavender, jacaranda (which is a new one to me) or periwinkle blue. I was wearing the coat to business meetings in London. 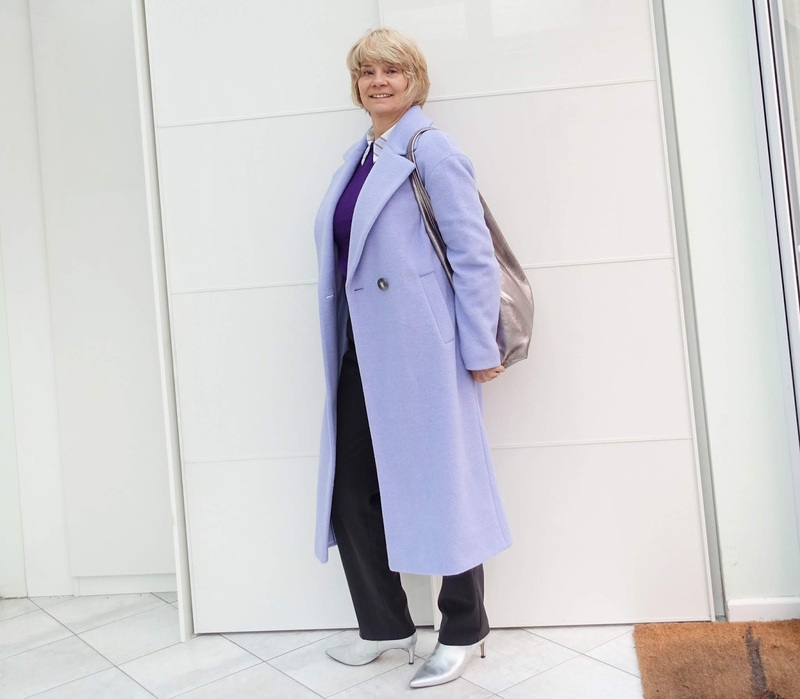 Underneath I wore a purple cashmere jumper (Marks and Spencer) and a white/lilac blouse I featured a few months ago, styled three ways: plus silver ankle boots and the silver bag I had for Christmas. 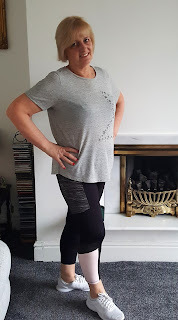 On Saturday I met two fellow fashion bloggers for afternoon tea: read about it here, and my dilemma was how to look stylish, but also wear comfortable footwear. I was going to an art exhibition first and I usually walk quite a bit when in London. The solution was a pair of black kitten heel boots, probably 10 years old. The heel is very low and I find them quite comfortable. Long boots look great with midi skirts so I wore my asymmetric plaid skirt (Marks and Spencer, old) and a black sequin top - its first outing, after buying it several weeks ago. The Dune bag matches the orangey-red shade of the skirt. This was my work outfit yesterday. 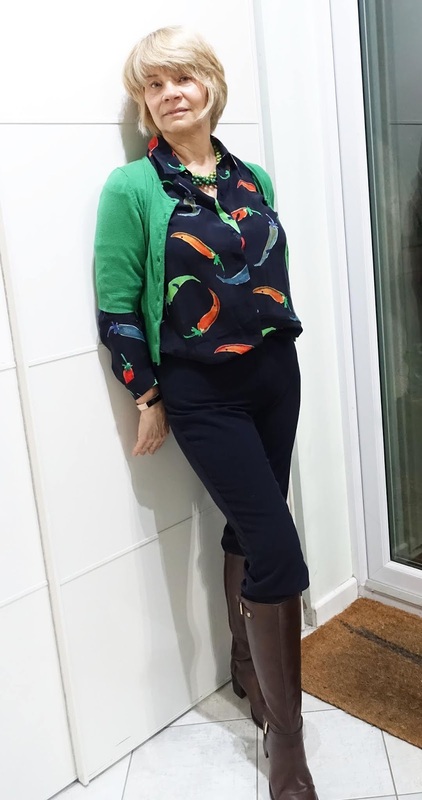 I've previously worn the hot stuff blouse with an orangey red cardigan, but this time I gave it a different look with green and navy. The trousers, from M&S, gave me a nervous moment because they were a little tight immediately after Christmas but now they're OK.
Today's outfit, for working at home, is a peach sequin jumper from Sainsbury's with jeans. The colour of the jumper used to suit me, but not so much now that I have blonde hair, so I used a leopard print scarf to add some interest near the face. Sharing this post with #Chicandstylish at Mummabstylish, Top of the World style at High Latitude Style, #ThursdayModa at Elegance and Mommyhood, #ShareAllLinkUp at Not Dressed as Lamb, #FabulousFriday at A Pocketful of Polka Dots, #WeekendBlogHop at Claire Justine and #FabulousFriday at Nancy's Fashion Style. 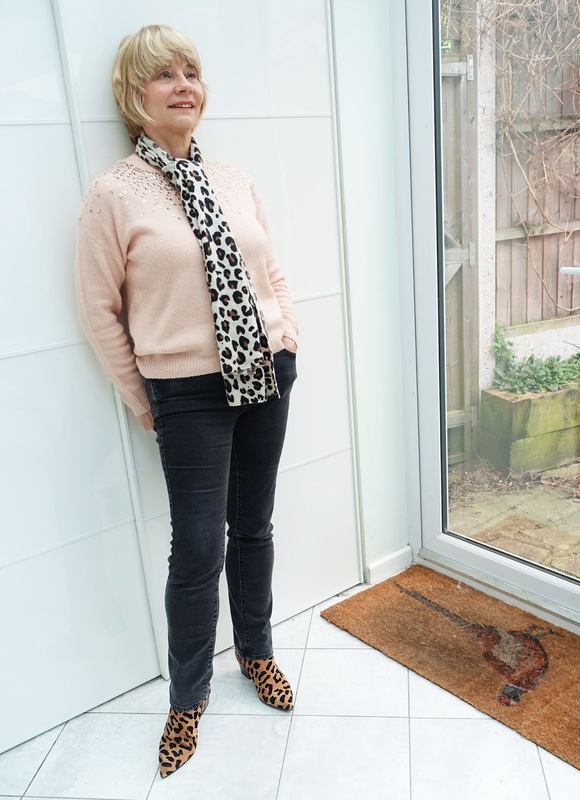 Jill at Stylish at Sixty was by far the readers' favourite with her post New Year, New Me. Jill has already lost 22 pounds and is looking forward to buying new clothes in a few weeks' time for her new shape. Congrats Jill! You looked super on Saturday. My favourite of these us your working from home outfit but I'm a sucker for blush and for leopard print.